We have a little shorter list of resources to celebrate the short month. Well, really the reason for such a brief newsletter is because I didn’t have much time for supplemental reading. 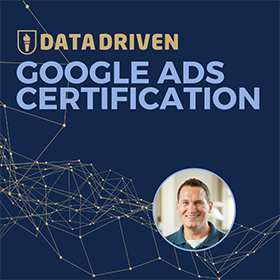 I recorded 30 video lessons for PPC Course, wrote about 40,000 words to support the lessons and still managed to have time to write some blog posts. Then I remembered February was a short month and I had to send out the newsletter! Just because the list is short doesn’t mean that the resources aren’t excellent. Here are several online marketing articles for you to check out! GA Effect (shinyapps.io) – How were your traffic numbers impacted by marketing activity? This is built on top of your existing Google Analytics account. Canva (canva.com) – “The easiest to use design program in the world”. A mix of advice, strategy and some awesome tactics to see things to the finish line. Technical Site Audit Checklist: 2015 Edition by Geoff Kenyon (@geoffkenyon) – Print this out and keep it handy. Great resource! Secret Wars by Jonathon Colman (@jcolman) – Beautifully written piece. Learning SEO – The Ultimate Resource by Lia Boangiu (@LiaBoangiu) – Very comprehensive. And not just because they mention me a few times. 17 Places To Promote/Share Your Blog Post After Hitting Publish by Hyderali – Great reference for when you hit publish on a post. Location Based Geo-Targeting Boosts Paid Search Ad Performance… Or Does It? by Wesley Young (@LocalSearchAssn) – Several numbers to pay attention to about geo-targeted ads. 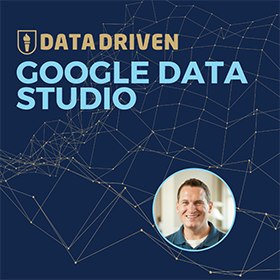 Direct Visits and Google Analytics Attribution Precedence by Eric Fettman (@ericfettman) – A great reminder about how Google Analytics processes your traffic. Awesome visuals to explain a difficult topic. Rip Off The Band-Aid: Use AdWords Conversion Tracking For (All) Your True Business Goals by Susan Waldes (@suzyvirtual) – A fresh perspective on Google AdWords conversion tracking. 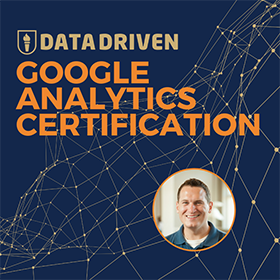 Google Analytics Certification Study Guide – 2015 by Natalie Henley (@Marketing_Nat) – Very comprehensive resource. Some great articles this month! Want a PPC Job? You better be able to answer this one question! Building vs. Buying – Which is better for companies? Career Viability: How Will Your Current Career Last? How do you Build a Digital Marketing Agency with a Sole Focus on ROI? How to Kickstart Your Digital Marketing Career with No Prior Experience? Does Digital Marketing Require Coding Skills to Compete?